It's been three years since we last heard new music from Ryan Adams. Yes, you read that right. The formally incredibly prolific Adams has been on hiatus to probably enjoy life. Now he's finally returned with his fourteenth album, this time a self-titled one. It's clear that Adams has embraced his rocker side for the new record. It kicks off with "Gimme Something Good", which combines blues and rock grooves with a swirling organ line. "Feels Like Fire" hits all the pent-up guitars from the Americana days were all just clamouring to get out all at once. Many of the tracks, like "Stay With Me", have a glossy '80s feel to the production. That's really profoundly felt on "Kim", which, if you perk your ears enough, sounds like Cory Hart singing a Bryan Adams tune. It's a Neil Young & Crazy Horse cacophony that oversees the total sonic collapse in "Shadows". There's something almost Sonic Youth-ish about the guitar that leads into the otherwise rock n' roll "I Just Might". Of course, the wounded heart songs will always be there. In this case, it's the singer-songwriter oriented "My Wrecking Ball". Although he turns the volume up a bit, the aesthetic remains the same on "Tired Of Giving Up". 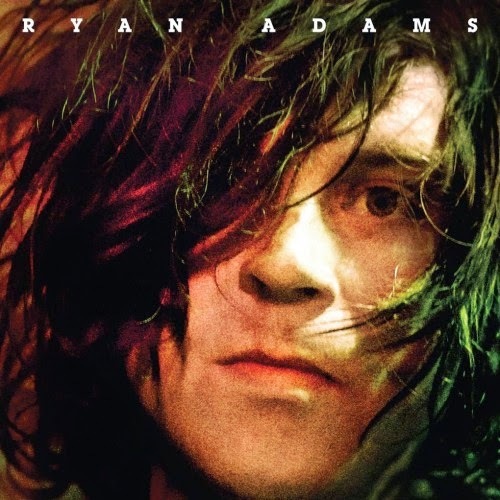 Ryan Adams is an album that reveals itself much more quickly than most of his catalogue. It doesn't take a lot of repeated listens to get into, because it has enough variety to avoid the trap of sameness that a lot of his records fall into. It's good for fans from the onset. Best tracks: "Gimme Something Good", "Feels Like Fire"
Ha. Strange but true: I thought EXACTLY the same thing about "Kim". I did a search on "Ryan Adams Corey Hart Bryan Adams" and hit this page. Great song!